Lahti is a city and municipality in Finland.Lahti is the capital of the Päijänne Tavastia region. To see other places to visit, photos, reviews, and tourist information, you can read our Lahti online trip itinerary builder . Vienna, Austria to Lahti is an approximately 8-hour flight. You can also drive. Due to the time zone difference, you'll lose 1 hour traveling from Vienna to Lahti. Prepare for a bit cooler weather when traveling from Vienna in June: high temperatures in Lahti hover around 22°C and lows are around 11°C. Cap off your sightseeing on the 2nd (Sun) early enough to go by car to Savonlinna. On the 3rd (Mon), take in the architecture and atmosphere at Savonlinna Cathedral, stop by Taito Shop Savonlinna, pick up some local products at Savonlinna Market Square, then make a trip to Pikkukirkko, then appreciate the history behind The Spirit of the fortress, and finally pause for some photo ops at Olavinlinnan Musta Passi. For traveler tips, reviews, maps, and tourist information, read our Savonlinna day trip planner. You can drive from Lahti to Savonlinna in 3 hours. Alternatively, you can take a bus; or do a combination of train and flight. June in Savonlinna sees daily highs of 21°C and lows of 10°C at night. Finish up your sightseeing early on the 3rd (Mon) so you can go by car to Joensuu. Joensuu is a city and municipality in North Karelia in the province of Eastern Finland. Start off your visit on the 4th (Tue): stop by Taitokortteli, then examine the collection at Pohjois-Karjalan museo Hilma, then admire the masterpieces at Joensuun Taidemuseo Onni, and finally take in nature's colorful creations at Botania - Botanical Garden and Tropical Butterfly Garden. For photos, traveler tips, where to stay, and more tourist information, go to the Joensuu road trip planning site . Getting from Savonlinna to Joensuu by car takes about 2 hours. In June, plan for daily highs up to 21°C, and evening lows to 10°C. Cap off your sightseeing on the 4th (Tue) early enough to travel to Kuhmo. Kuhmo is a town and a municipality in Finland and is located at the south-eastern corner of the Kainuu region. Kick off your visit on the 5th (Wed): look for all kinds of wild species at Wild Taiga and then identify plant and animal life at Boreal Wildlife Centre. For other places to visit, more things to do, where to stay, and tourist information, read Kuhmo online road trip planner . You can drive from Joensuu to Kuhmo in 3.5 hours. 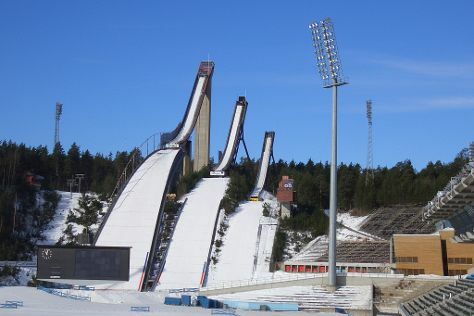 Cap off your sightseeing on the 5th (Wed) early enough to travel to Kuopio. Kuopio is a city and a municipality located in the region of Northern Savonia, Finland. Kick off your visit on the 6th (Thu): contemplate the waterfront views at Valkeisenlampi, pause for some serene contemplation at Lutheran Cathedral, then examine the collection at Kulttuurihistoriallinen Museo, and finally test your team's savvy at popular escape rooms. Here are some ideas for day two: examine the collection at RIISA - Orthodox Church Museum of Finland, examine the collection at Kuopion Korttelimuseo, then pause for some serene contemplation at St. Nikolaos Cathedral, and finally have fun at Vainolanniemi. To see more things to do, traveler tips, maps, and more tourist information, you can read our Kuopio trip planner . You can drive from Kuhmo to Kuopio in 3.5 hours. Expect a daytime high around 20°C in June, and nighttime lows around 11°C. Finish up your sightseeing early on the 7th (Fri) so you can catch the train to Tampere. 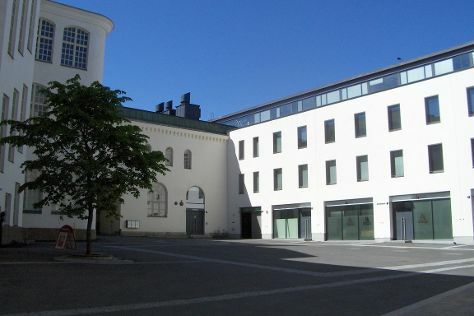 Kick off your visit on the 8th (Sat): examine the collection at Tampere City Library, Metso, pause for some serene contemplation at Finlayson Church, then pause for some serene contemplation at Church of St. Alexander Nevsky and St. Nicholas, then see the interesting displays at National Police Museum, and finally relax and rejuvenate at some of the top local wellness centers. Here are some ideas for day two: see the interesting displays at The Finnish Labour Museum Werstas, then have some family-friendly fun at Portaali VR, and then enjoy the sand and surf at Rauhaniemi Beach. To see ratings, other places to visit, maps, and tourist information, read our Tampere day trip planning tool . Traveling by train from Kuopio to Tampere takes 3.5 hours. Alternatively, you can drive; or do a combination of flight and train. June in Tampere sees daily highs of 20°C and lows of 9°C at night. Wrap up your sightseeing on the 9th (Sun) early enough to travel back home.